Most westerners know little about China's history, the story of the country's transition into and out of communism, or the historical struggle of Chinese women. 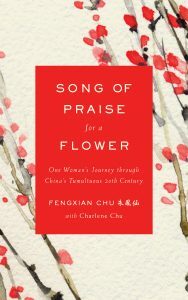 This memoir, originally authored by my cousin Fengxian Chu in Chinese and written into English by myself, is a powerful living history that brings the last 100 years in China to life. I felt compelled to bring this manuscript, which lay locked in darkness in a bank vault for nearly two decades, to light, and to give a voice to my cousin's harrowing but triumphant story.